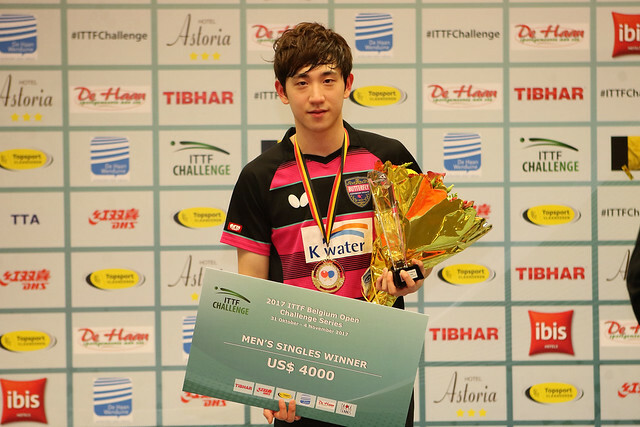 Impressive performances, undoubtedly increasing in confidence as play progressed, Japan’s Shunsuke Togami and Chinese Taipei’s Li Yu-Jhun won the respective Under 21 Men’s Singles and Under 21 Women’s Singles events in De Haan on Friday 3rd November, the first titles to be decided at the 2017 ITTF Challenge Belgium Open. Both emerged successful some contrary to predictions, Shunsuke Togami more so than Li Yu-Jhun who started proceedings occupying the no.15 seeded spot, as opposed to his female counterpart who was the no.3 seed. A place in the quarter-final reserved, Shunsuke Togami recovered from a two games to nil deficit to beat German qualifier, Dennis Klein (7-11, 10-12, 11-9, 11-9, 11-5), prior to ending the hopes of Hong Kong. He accounted Lam Siu Hang, the top seed (11-3, 11-8, 8-11, 11-8) in the penultimate round before securing the title at the expense of Ng Pak Nam, the no.4 seed (11-3, 11-8, 11-9). 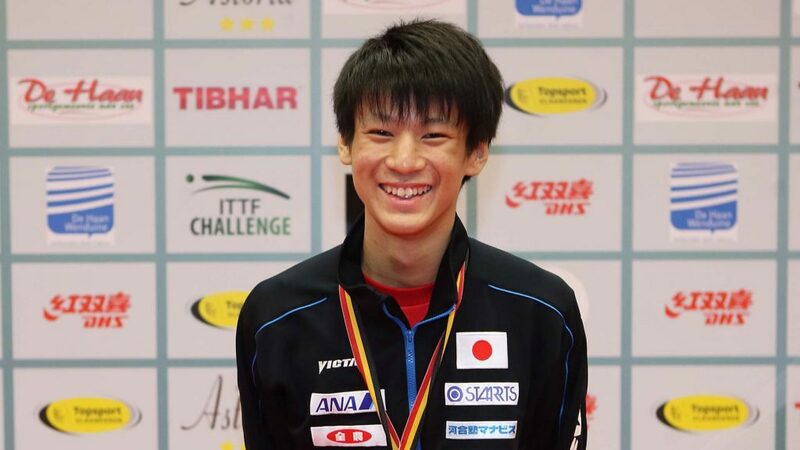 Notably it was the third consecutive Japanese adversary for Ng Pak Nam; at the quarter-final stage he had beaten Yukiya Uda, the no.6 seed (6-11, 11-6, 13-11, 11-8), before ending the hopes of Yuki Tanaka, the no.27 seed (7-11, 11-5, 11-9, 11-7) and a player in form. In the third round he had beaten Slovenia’s Darko Jorgic, the no.2 seed (9-11, 11-2, 11-9, 11-9), prior to recording a quarter-final success in opposition to Belgium’s Martin Allegro (7-11, 11-5, 11-9, 11-7). Success against Hong Kong for Shunsuke Togami on the penultimate day of play; for Li Yu-Jhun it was very much success against Korea. After recording a quarter-final success against Russia’s Ekaterina Guseva, the no.7 seed (11-6, 11-5, 11-7), she beat qualifier Kim Yedam by the very narrowest of margins (8-11, 11-9, 11-5, 9-11, 13-11), prior to securing the title at the final expense of Lee Zion, the top seed (8-11, 11-4, 11-4, 11-6). In the opposite half of the draw in the penultimate round, in the later rounds, Lee Zion ousted Romanian qualifier Alina Zaharia (11-9, 9-11, 11-6, 11-4) before ending the hopes of Brazil’s Bruna Takahashi, the no.4 seed (11-9, 11-2, 6-11, 9-11, 11-6).